In Iron Man: Hong Kong Heroes #1, Dr. Strange encounters Arnim Zola and Baron Mordo who battle with him for control of a portal nexus. The portal nexus is powered by three mystical globes which Mordo and Zola want in their quest for control of the world. Dr. Strange can’t defeat the two on his own so he sends the portal nexus to Hong Kong and hopes to get help. Guess who happens to be in Hong Kong when the mysterious object arrives: Tony Stark! 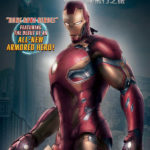 Flying around in his Iron Man suit, he is about to make his grand entrance to the Stark Expo and wow visitors with the latest creation by Stark Industries. Of course, the party doesn’t last long, as Zola and Mordo and their magical robots crash into the city looking for the portal nexus. An all-out battle takes place between the agents of Hydra and the Avengers throughout the streets of Hong Kong. There is never any doubt that Iron Man will prevail with his Hong Kong heroes. Iron Man: Hong Kong Heroes #1 is an enjoyable comic that fulfills all the pedigrees that Marvel has established in their long history. Quips by Tony Stark, Hulk smashing things, Dr. Strange being mystical, and bad guys who are horribly outnumbered that think they can win if they have robots to fight for them. 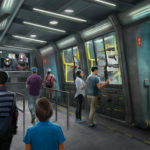 This comic is inspired by the new attraction in Hong Kong Disneyland, Iron Man Experience, and like Guardians of the Galaxy: Mission Breakout, will blend the world of comic book page to theme park attractions. Writer Howard Wong has created a self-contained story in this one book that feels and sounds very much like something you would experience at one of the Disney Parks. 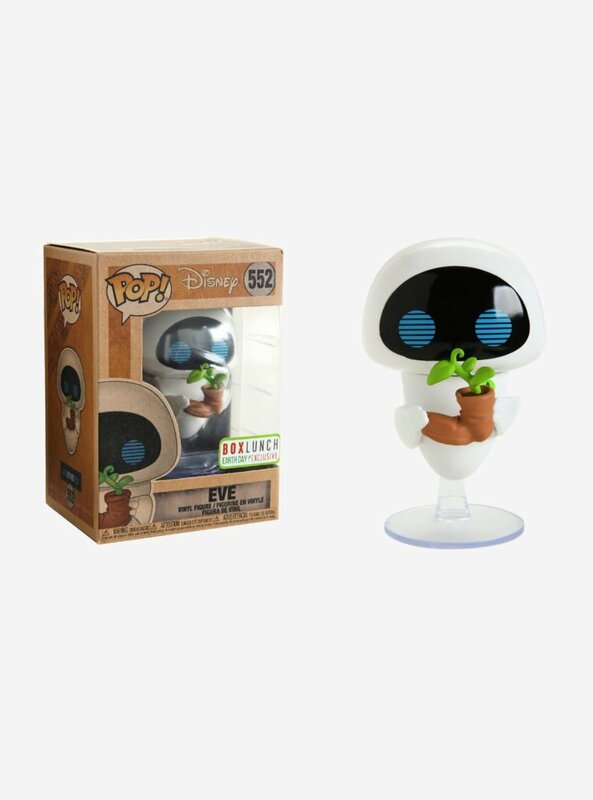 He has enabled readers to focus on the singular story that entertains, as this comic did, but could also be retooled and changed in a variety of ways that would entertain readers for years to come, much like many attractions at the Disney Parks. Some readers might be looking for a long running story with a lengthy plot. 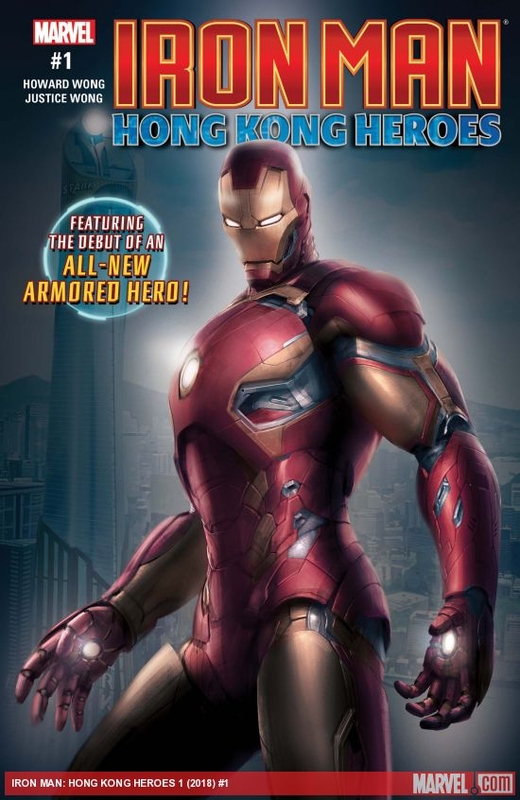 Iron Man: Hong Kong Heroes #1 is self contained but leaves room for more stories that can be independent and explored in the small world of one single comic placed in the overall arc of the Hong Kong Heroes saga. The fact that there is no connection in this comic to long running stories or mentioning of narratives like Secret Empire or Civil War makes me happy. Iron Man: Hong Kong Heroes #1 was a blissful escape after coming home from work. I liked the fact that I could sit back, relax and just watch the heroes of Marvel battle the bad guys and win. I didn’t have to invest in a long-term story that lasted weeks or months. I didn’t need to read countless back issues of other stories to understand what was happening. Ten minutes and I was done. Lately it seems like there is a need to extend a comic series exploring themes to the nth degree. Iron Man: Hong Kong Heroes #1 was a perfect relaxing read. Howard Wong didn’t just write about the heroes we know. Amidst the tech genius, and sorcerer supreme, regular people like Arwyn and Wendy Wong joined the fight and helped win the day. Having Arwyn say the magic words “Avengers Assemble” made me feel like I was at a Disney Park attraction. I love the synergy of corporate properties when they are done well. 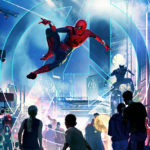 Marvel is about to be incorporated into the Disney Parks in a variety of ways. 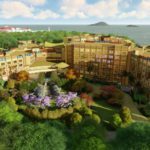 From Disneyland in California, Walt Disney World, and more attractions in Hong Kong Disneyland. The superhero world will have new mediums to tell their stories, and I for one look forward to walking into a Marvel land that lets me interact with the characters and see the stories I have read on the page come to life.